Woodstock 50 just announced its official lineup and it’s what the kids might call a doozy. 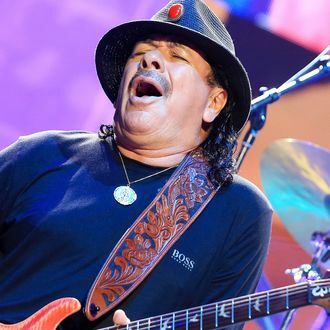 Santana, who also performed at the original festival in 1969, will be returning to the legendary event. Joining them will be a few slightly newer faces, like Miley Cyrus, Jay-Z, Chance the Rapper, the Black Keys, the Killers, Run the Jewels, and Janelle Monáe. Set to take place over the 16th, 17th, and 18th of August in Watkins Glen, New York, the newest iteration of the iconic fest will also have glamping and TED Talks. Far out, man!